An important step in the process of creating your own DIY is deciding how that DIY will be presented to your fellow members. 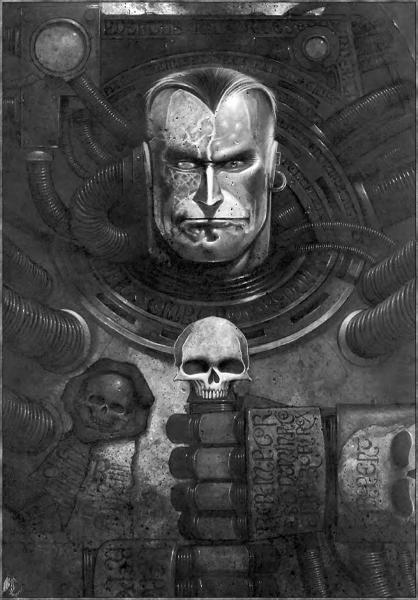 As Games Workshop has demonstrated, there are a variety of ways that DIYs can be presented, ranging from the commonly used Index Astartes article to portrayal in fiction. The varying styles have their strengths and weaknesses, whether presenting information as "accepted fact" (such as is done in an Index Astartes article), demonstration (such as in a story), or even speculation and rumor (such as a series of third person communications about a DIY). Some players have even presented their DIYs through the medium of comic book/graphic novel. Ultimately, the method of portrayal is up to the author. Now all that said, most players choose to use the Index Astartes article as their format; and we've also seen the recent Imperial Armour books presenting an alternate format. While there has been some variation between different examples of these formats, the basic formats tend to follow certain patterns. This discussion presents templates of both of these formats. Players can take these templates and copy them for their own use. Variations on each format will be presented, demonstrating to authors the "art of the possible" so that they can experiment with modifying them. Ultimately, the intent is to present just a few examples of how Games Workshop has presented information on Chapters over the years, demonstrating to players a range of possibilities that they can use and adapt in presenting their own DIYs. Players are certainly free to use the templates as provided, but these are nothing more than examples and modifying the templates to suit your tastes is encouraged. Note that all of the formats, colors, images, etc. that are presented here are meant to be examples and players are highly encouraged to modify these templates in order to achieve more customized versions. The datafile is the basic article that we have in the Librarium for presenting information on a chapter, legion, warband, etc. All related articles on the organization will link from that article. This type of file is written as an intelligence report on a Chapter from the perspective of the Legio, the Bolter & Chainsword's mascot Chapter. This template is a relatively straightforward adaptation. An example of this format using text headings is Brule the Spear-Slayer's Avenging Lions. "<<Quote, battle-cry, or whatever else you want to fill this space>>"
The template below is the same as that for the text headings, but this time the headings are in the header BBCode. Simple customization is to change the header type (skull, full, etc. ), change the color of the header (by adding "=######" in the first header tag), etc. This template is the same as above, but the headers have been replaced with images (this time using the marble background with skull icon on the right side). Simple customization is to replace the images. The template below sets headers off using different sizes and making the text bold. Additional changes might be to add underlines, adding color, changing the font style, etc. The BBCode template below uses half headers. Simple customization might be to change to full headers, skull headers, skull half headers, etc. More advanced customization would include the addition of images, changing font type/color, etc. The template below uses images that have a paper texture and an eagle's head icon at the far right. Simple customization would be to change the images, either using other stock images provided in this topic or making your own.